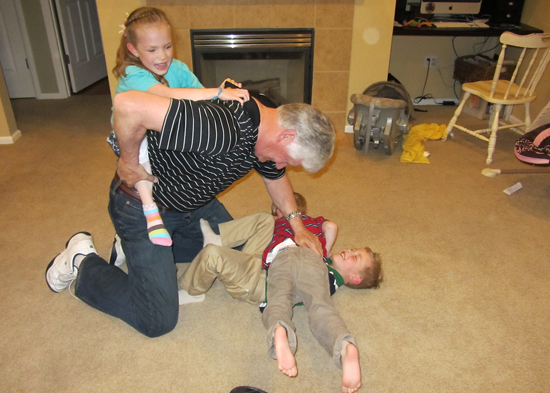 We love having Grandpa and Grandma live so close. 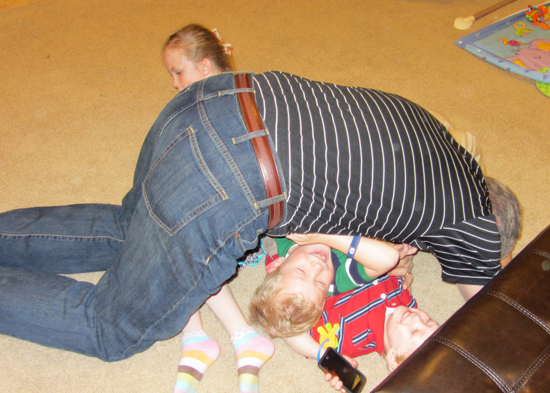 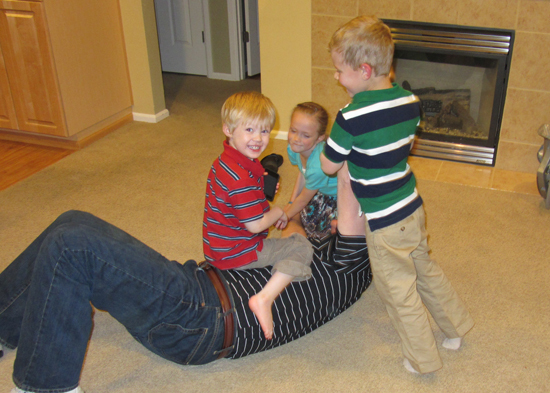 The kids especially love wrestling Grandpa when he is over and Mike is happy to have a little break. 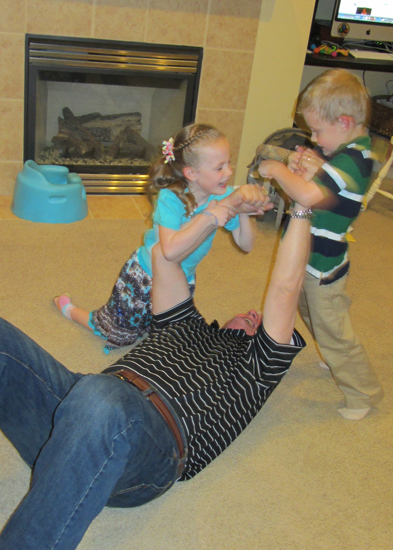 Looks like he holds his own...for an old guy!